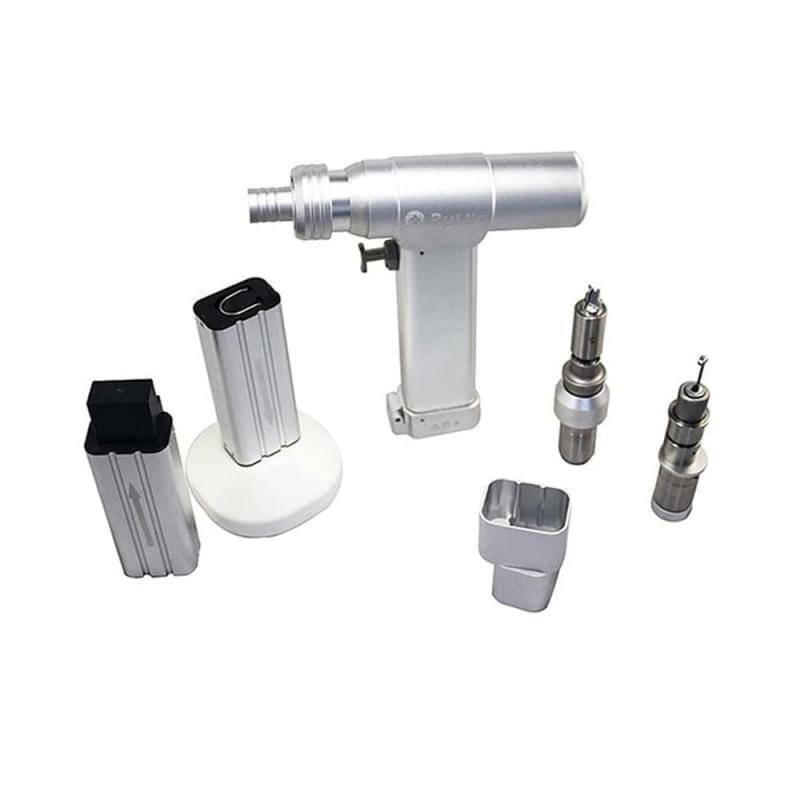 Neurosurgery Instruments Craniotomy drill mill system is also brain surgery drill combination of drilling and milling, can automatic stopping to ensure safety in operation. Lightweight, low noise,single-hand operation, efficiency more suited to craniotomy operation in neurosurgery. The convenience of portability.Autoclavable to 135ºC. I:Mainframe is made of Stainless Steel, durable and long working time, the accessories can be selected freely by different operation. Ii:Quick chuck: Imported chuck ensures outstanding performance during operation. Iii:Sternum saw: Both 360 degree; Rotating head and blade guard can protect Soft tissue around sternum. Iv:Craniotomy mill: 40000r. P. M rates assures fast, efficient and safe process in craniotomy. Vii:Wire and pin chuck: With a canula diameter 4.0mm applide to various intramedullary pin or kirschner pin fixing opration easily and conveniently. Viii:Cranial drill: Auto-pause offer perforation ensures safety in neurosurgery. 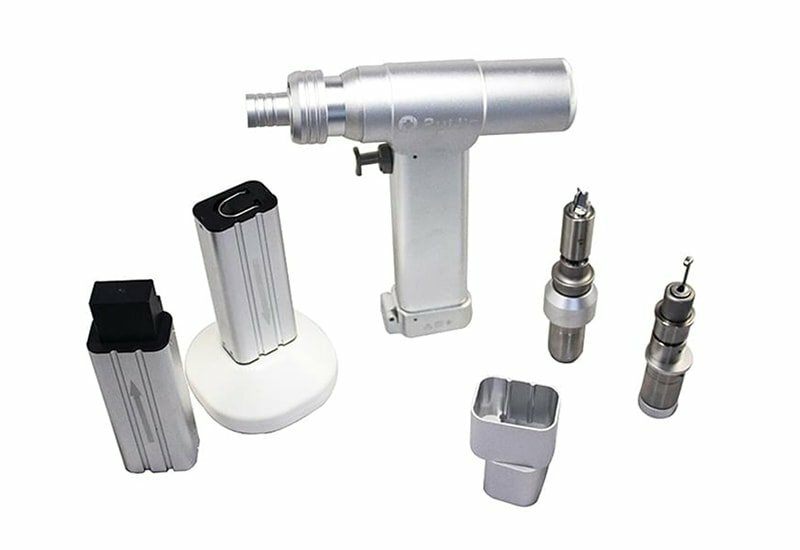 Multifunctional drill with a comprehensive range of quick change attachments assembled in one full functional handpiece, affort surgeon a convenient. I:Handpiece can drive a variety quick connects. Ii:Attachments can be assembled and disassembled easily. Iv:The mian components are made of high-strength stainless steel. Vi:Ni-MH battery without memory, environment friendly. I:One set packed in the aluminum alloy box and then put in a carton. Many thanks for your kind attention on our medical items. Any request or question, please do not hesitate to contact me. I am waiting to do my best to start our business.